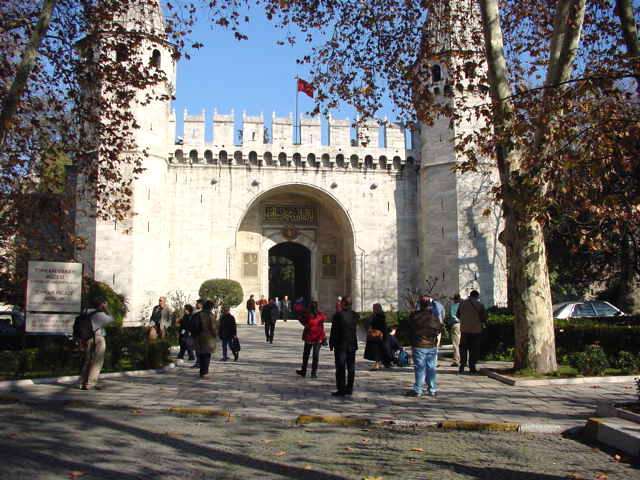 The Topkapi Palace is the oldest and largest of the remaining palaces in the world. It was converted to a museum in 1924. The palace is located on the acropolis of Byzantium. It is overlooking the Golden Horn, the Bosphorus and the Sea of Marmara. The palace walls are about 3 miles in circumference. It’s a long walk from the Imperial Gate to the entrance to the palace area. Entrance to the Topkapi Palace.